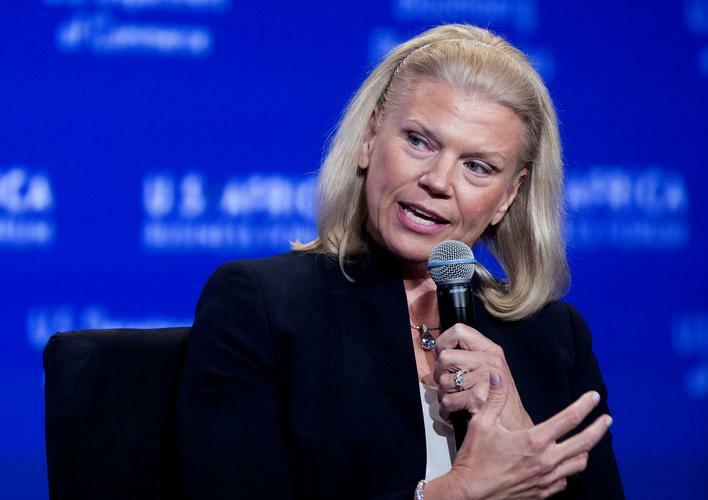 Recent media reports claim IBM is about to conduct the largest corporate layoff in US history, with 26 per cent of its workforce, over 118,000 people potentially in line for the chop. IBM quickly refuted the claim and says while it's planning a layoff, it's no where near the size suggested. “Even if 'cuts and restructurings' are the new normal, it's sad because people are losing their jobs,” writes O'Donnell, in her LinkedIn Blog post. By IBM's own definition O'Donnell claims, those affected are… “fungible." “Fast forward to today, and the IBM layoff about to occur suggests their use of their fungible assessment,” O'Donnell speculates. According to sources, O'Donnell says those laid-off will not be considered for the jobs created in the restructuring and building of the new divisions of IBM. Which means, the decision to avoid rehiring laid-off employees could be interpreted by hiring managers as a criticism of the skill value of the workers affected. While the obvious first steps are to go through the severance package, complete the paperwork, and apply for unemployment, O'Donnell offers additional steps that an IBM layoff victim might take if they want to shorten their job search. “As stressful as the last few months have been (I'm sure the potential layoff has been buzzing through the company and causing a lot of anxiety), you should think twice about taking time off to recoup,” O'Donnell advises. “Job search takes time. Interviewing takes time. Selecting the right candidate takes time. Even if the perfect job falls in your lap, it will be weeks before you start. O'Donnell believes the sooner you can see the possibility of landing a new, more interesting job, the sooner you'll be in the right state of mind to network, interview, and land a new position. “One of the best ways to cope is to exercise,” she explains. “The endorphins will give you a mental and physical boost. You'll need your strength. So much so that for O'Donnell, being in isolation, or with other layoff victims will not help your job search. “You need a coach who will tell you what you need to hear,” she advises. “A person that knows how to keep you motivated and engaged. Someone who won't let the negative self-talk overtake you and slow down your search. According to O'Donnell, employers hire the aspirin to their pain. “While you might be a diversely skilled, jack-of-all-trades, you can't market yourself that way,” O'Donnell adds. “Saying you can do everything sounds unfocused and desperate. Speaking from experience, O'Donnell believes your resume and LinkedIn profile must be set up to showcase your specialty quickly - and with as much impact as possible. “Keyword optimisation is vital,” she claims. “Knowing what recruiters are looking for when it comes to your skill set and showcasing it in the proper format will dramatically increase the amount of activity you get on your candidacy. The fastest way to find job opportunities is to build a bucket list of companies you want to work for and network your way into the process, O'Donnell adds. “The majority of jobs gotten today are done so via referral,” she says. “Creating a target list of employers and working a strategy to build relationships with them is the smartest way to land a job with a company you admire and respect. While it's a much better time to be getting laid-off than in 2009 (during the peak of the recession), that's not the silver lining in the eyes of O'Donnell. The real potential advantage to those affected is the chance to up their skills and pivot their careers in a new direction. “The fact is, every job is temporary in our new economy,” she explains. “We all need to learn how to job search effectively going forward because we'll need do it more frequently in our careers. As a result, taking control and putting our careers on a new path is one of the most liberating and empowering things we can do, O'Donnell claims. “It makes us stronger as a professional,” she adds. “It increases the power of our business-of-one. It's hard, no doubt. But, that also makes the success so much sweeter too.